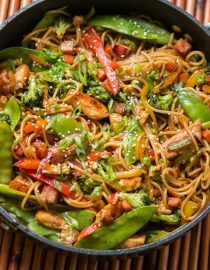 If you love our Teriyaki chicken casserole or our Teriyaki Veggie Bowls you’re going to be drooling over these Teriyaki Chicken Noodles! As a kid my mom would often buy a glass jar of teriyaki sauce, I can’t remember what brand but it did have a green label, anyway that always meant I was going to love dinner that night. 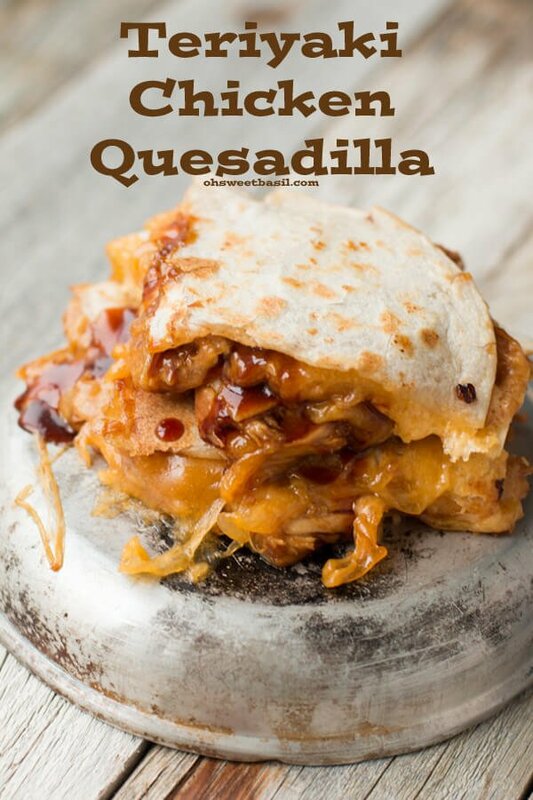 When I was in high school I’d often be hungry after a long day of school and activities so I’d snag myself that jar out of the fridge and whip up a teriyaki chicken quesadilla. It’s a little crazy but it totally works. 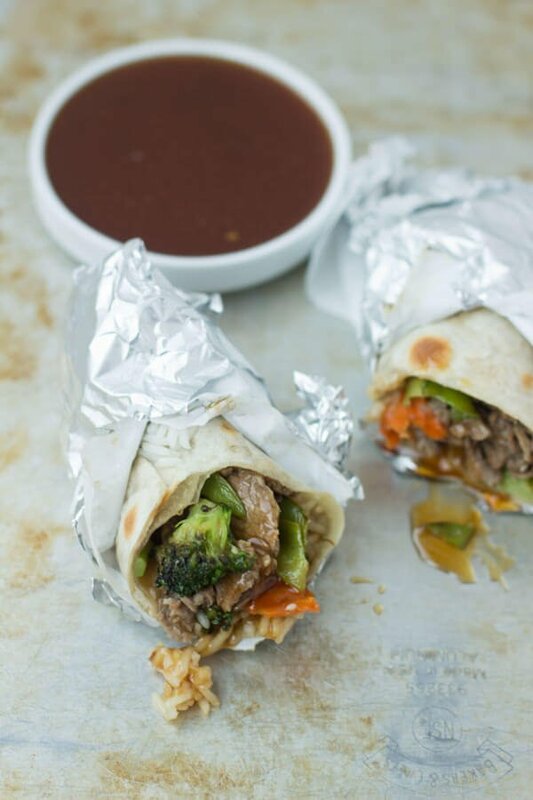 I’ve linked up to a bunch of teriyaki recipes at the end of the post so go pinterest happy. Is Teriyaki Sauce Low Carb? 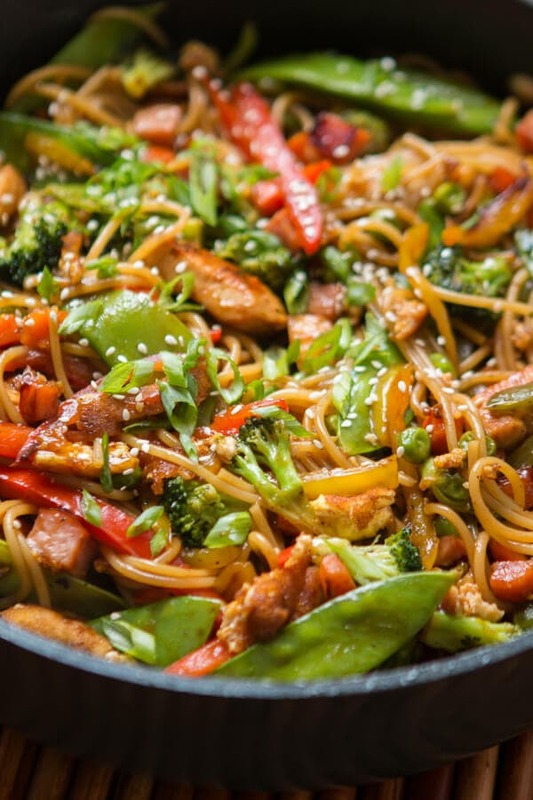 Almost all the calories in the teriyaki sauce come from carbs. 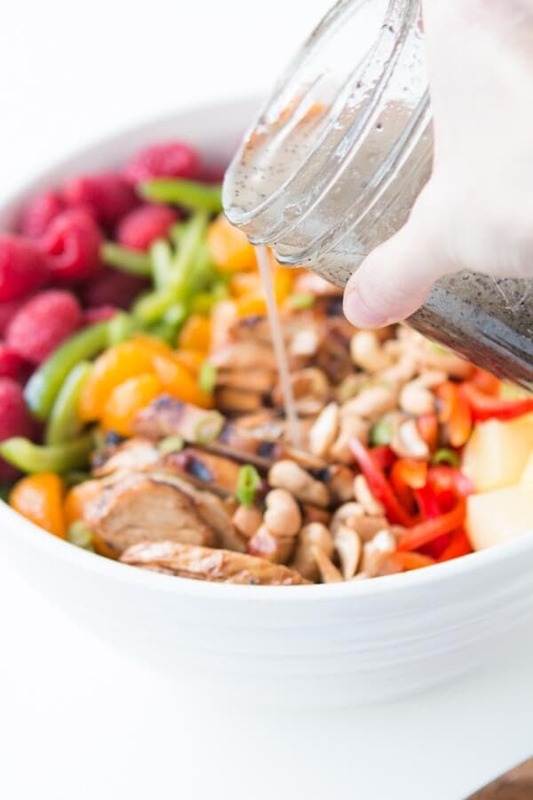 One tablespoon of teriyaki sauce contains 3 grams of carbohydrates, 1 gram of protein and 0 grams of fat. 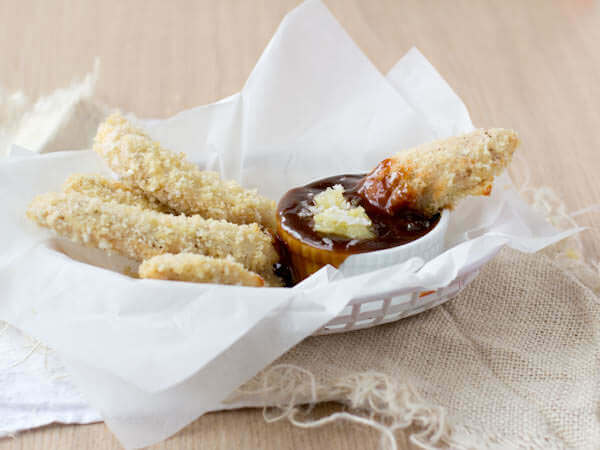 For people with diabetes, teriyaki sauce makes a good condiment choice. With less than 5 grams of carbs per serving, it’s considered a free food. 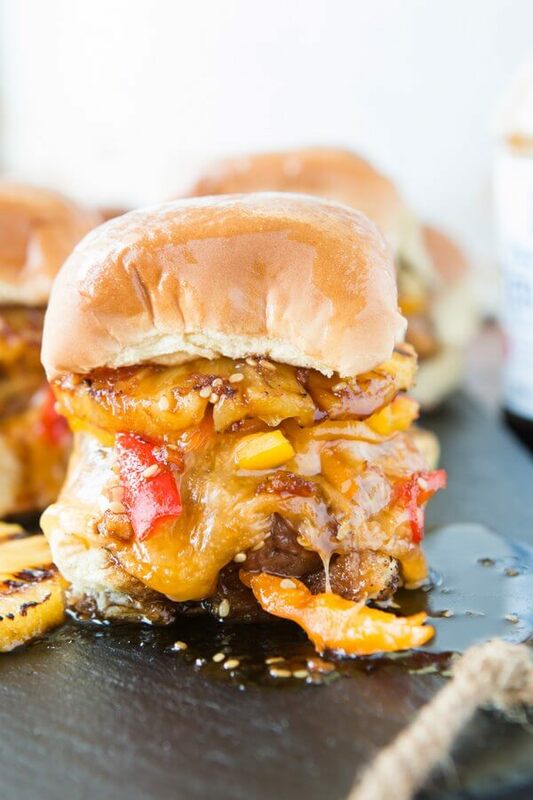 Well I still love teriyaki sauce and am often finding new ways to use it. 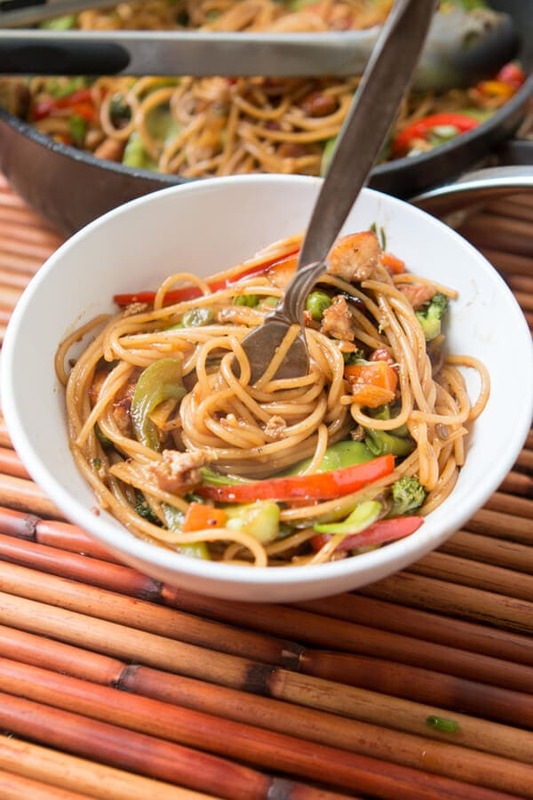 There are quite a few recipes on the website but none with noodles and I’ve been itching to share one of our family favorites, teriyaki chicken noodles. The whole family loves it and for good reason. Is Teriyaki Chicken Gluten Free? 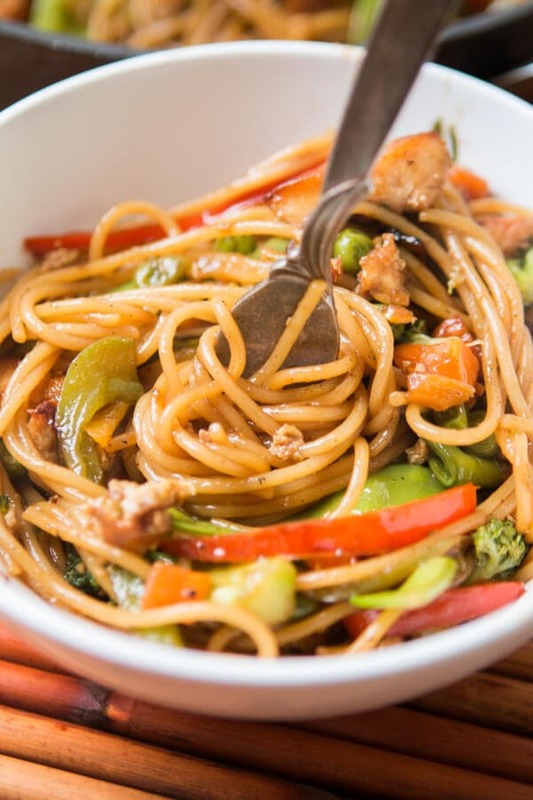 The most common source of gluten in teriyaki sauce is the soy sauce. Most soy sauces, unless labeled gluten-free, contain wheat as well as soybeans, salt and water. It’s a perfect teriyaki sauce that we use. 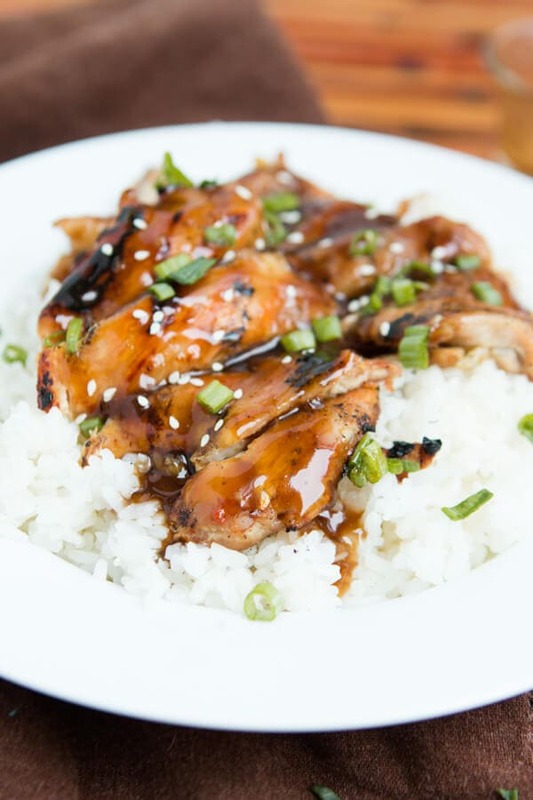 It comes from our perfect teriyaki chicken recipe and we’ve found that Tamari, a gluten free soy sauce is actually what gives the best flavor. I have no idea why, and we aren’t even gluten free but it’s what works best. It’s a good source of protein and other nutrients, however it can be high in fat and calories depending on how it is cooked. Teriyaki sauce can also be high in sodium. 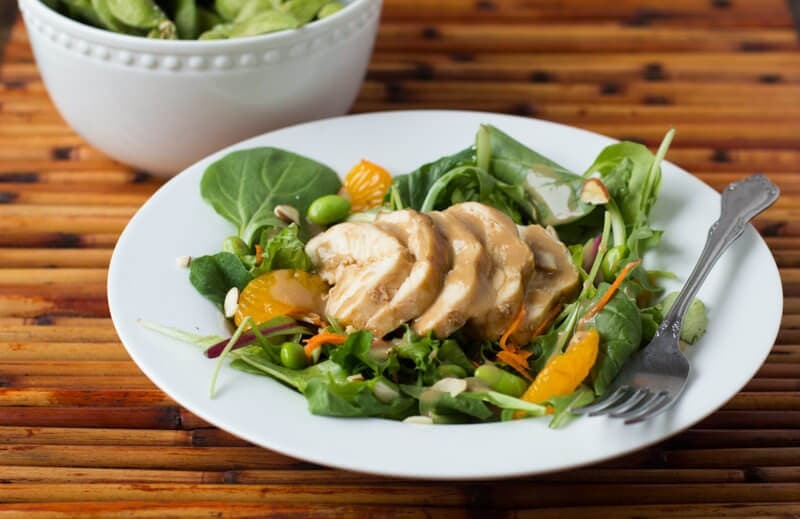 The key is to eat teriyaki chicken in moderation, prepare it using healthy cooking techniques and pair it with other nutrient-dense foods. Cook your chicken our way. 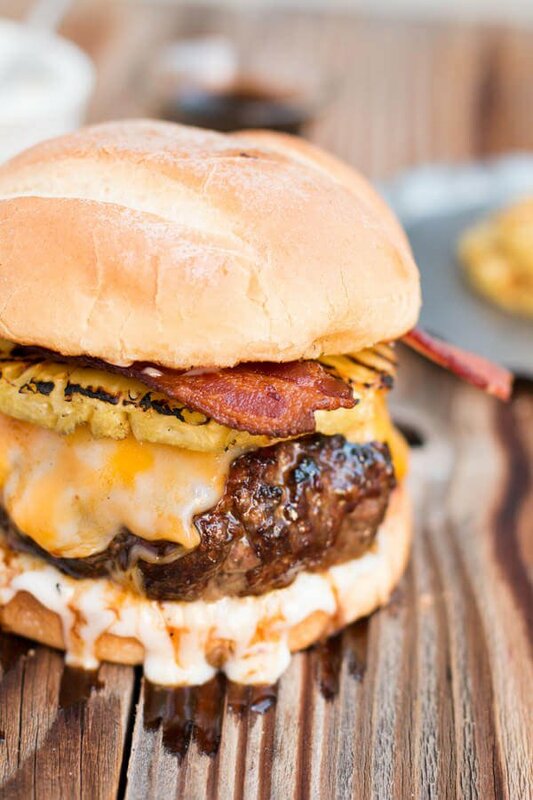 Don’t just throw it in there and wait 30 minutes or cook the heck out of it on high. We have a whole post on How to Cook Chicken in a Pan and you’ll definitely want to use that method for perfectly cooked chicken. Then set it aside as you cook the remaining dish as resting is just as important for meat as is the cooking. Really. It allows the juices to redistribute and you’ll have the juiciest meat ever. 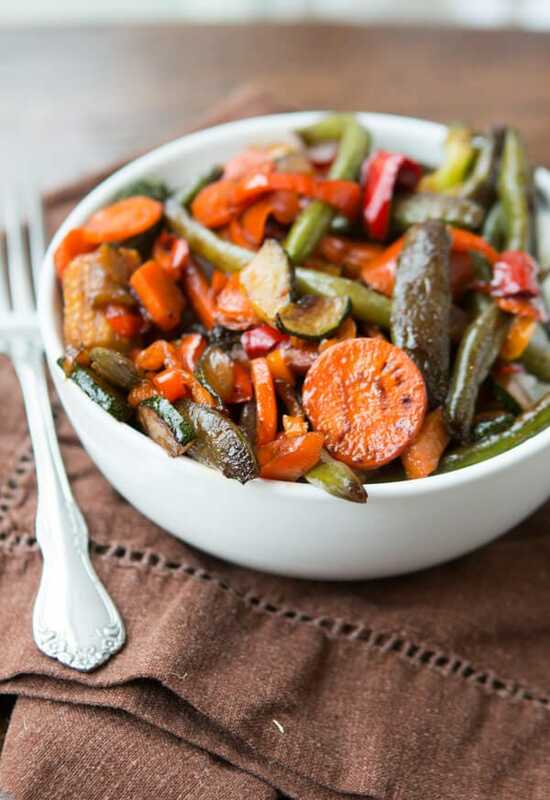 The veggies are so good because you sauté them up like in a stir fry. 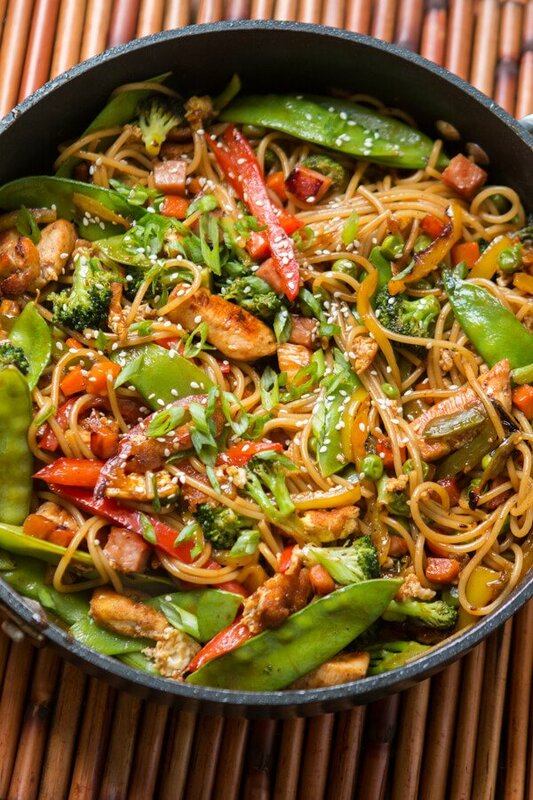 Stir fry used to be so cool. Is it? I want to bring it back. 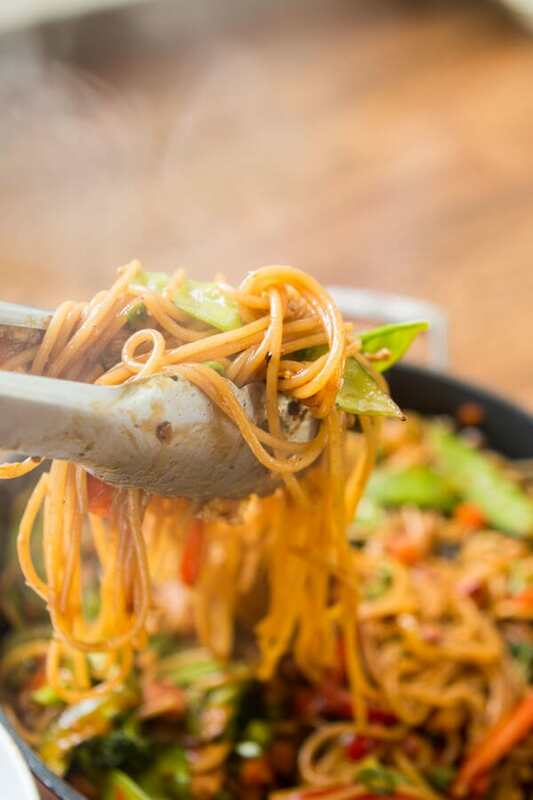 Noodles and sauce are always good. Always. 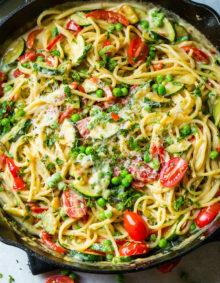 But this takes a twist and it’s not a healthy twist so if you need to you can absolutely leave it out but add a swirl of butter to the veggies right before adding the remaining ingredients. It takes the whole thing from awesome to out of this world good. And ps, there’s egg in there. 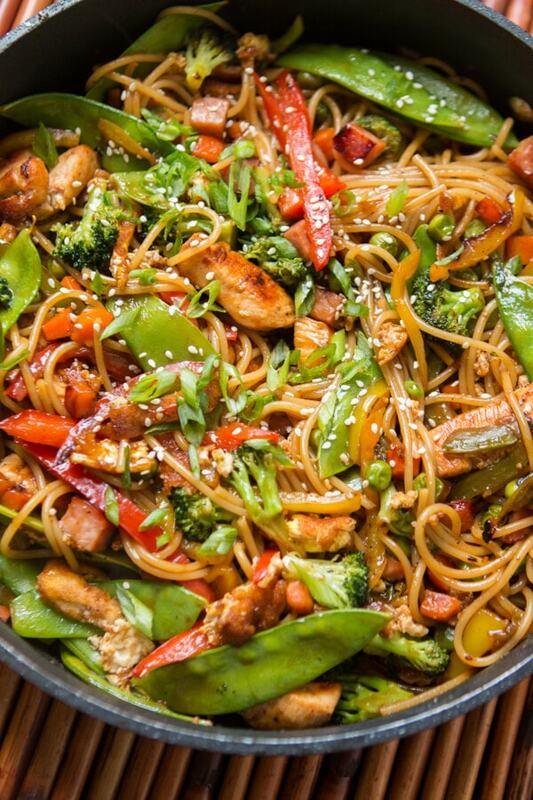 That’s right, it’s like fried rice, teriyaki chicken, stir fry and sesame noodles had a baby. Sweet mercy. Place the chicken in a ziploc with 1/2 cup Teriyaki Sauce. Place in the fridge for 2 hours or up to 1 day. Drizzle a little oil in a small fry pan and add the egg over medium high heat. Tilt the pan to coat with egg as you gently lift the sides with a spatula. Flip once set and cook for a few seconds and remove to a cutting board to slice and set aside. Heat a pan over high heat, add a drizzle of oil and add the chicken. 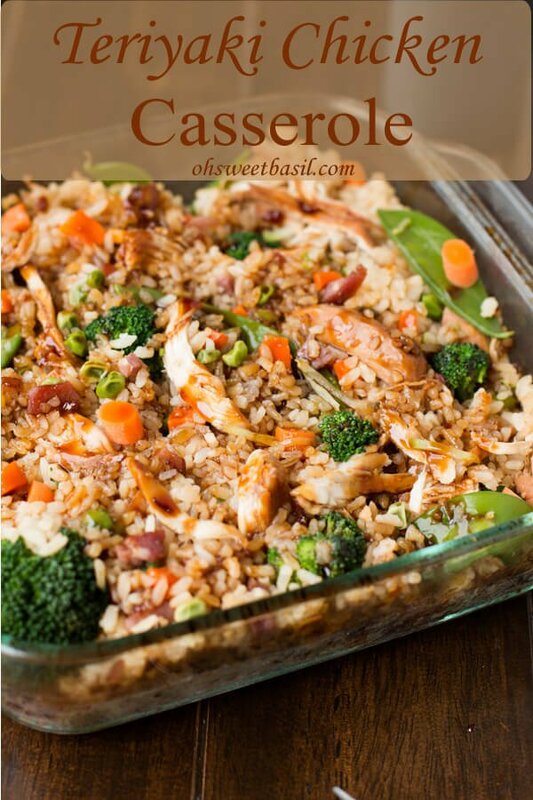 Turn the heat to medium low and cook for 5-6 minutes following THE PERFECT METHOD post directions. Flip and cook an additional 5-6 minutes or until cooked through. Set aside on a cutting board to allow juices to redistribute. Meanwhile, cook the pasta per package instructions. Heat the chicken pan (without the chicken) back up over medium heat and add the olive oil and quickly stir in the garlic and cook for 30 seconds. Add the carrots and peppers and saute until tender. Add the remaining veggies and butter and cook for about 1-2 minutes or until heated through. 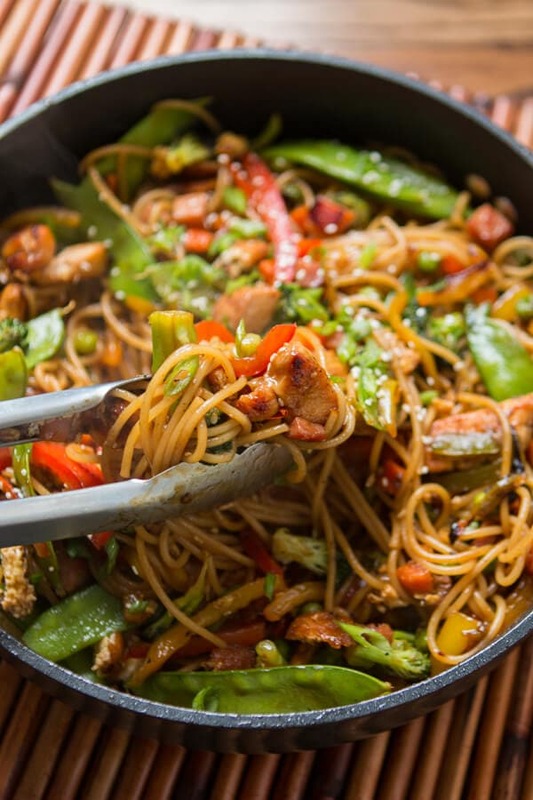 Slice or chop the chicken and then add the chicken, sauce, eggs and noodles to the pan and stir to combine. Sprinkle with sesame seeds and green onions to garnish. 2 1/2 c teriyaki sauce? Can’t be right. I did that and its way too much. Did you follow the instructions on how to divide and use the teriyaki? Some of it is for a marinade while the rest is used in the dish and with that much pasta, meat and veggies it’s too dry without it. But, it’s all about taste too, so if it’s too much for your taste it’s definitely ok to cut down on that amount. Thanks for the comment! I have two questions about this recipe. Are there red bell peppers in this? 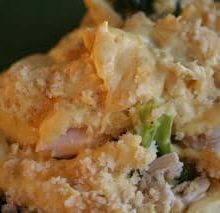 It looks like there are in the picture but the recipe doesn’t call for them. 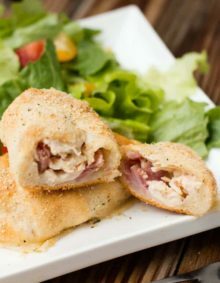 Is the chicken cut into small pieces? If so at what point do you do this? Hi. There’s no instructions on the egg you say you used? I’m assuming to crack it in first after cooking the chicken, before adding the goods? Hi Maria, the egg is under the teriyaki sauce in the ingredients and it’s the second step in instructions. Let me know if you don’t see it and I’ll reset the recipe.